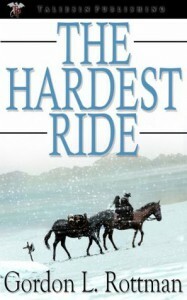 ABR's original The Hardest Ride audiobook review and many others can be found at Audiobook Reviewer. The Hardest Ride I felt was going to be interesting based on the book blurb. I did not know about the winter of 1886-The Great Die Up. So that I found since I enjoy listening to and reading stories from the 19th century and back. Also, enjoy listening to Jame Simenc as a narrator. Now the hardest ride for me was the hardest listen I ever did. So before I get into saying it is a book to stay away from. Far from the contrary. The story is good, it is solid and it has a great cast of characters. What I did not like was the way everything was stretched out in the detail department for a lot of the scenes. Something, I felt was not necessary. That is what made it difficult for me to listen to this book. I guess I like things in detail and get to the point. So let me back track to the stories main characters. No spoiler alerts below. A young cowpoke, Bud Eugen was on his way back from his first job in a round-up looking for new work. When he came upon a family that was murdered by Indians. There still alive was a young girl of 16 who did not speak, so he named her Marta. You will find out later in the story that she was indeed deaf from an unfortunate accident as a child. The story mainly revolves around shoot outs, round ups, bar browsing, women of the night and a bit of a love story in sorts. Where Bud throughout the story keeps telling all that he meets that Marta was not his “Woman”, as he put it. She was Mexican and needed to be with her kind. He never took care of no one but, himself and that seemed to be changing. It was what he kept telling himself that it was only going to be him on the trail. Until, on a ranch that he and Marta find work. One day it was attacked by banditos and all the women and young daughters of the ranch owner were kidnapped and ransom. Along, with the prize bull. Then, the story picks up speed. The Rescue!!! All the men on the ranch organize a rescue and plan of attacking the banditos. However, it takes about 3.5 to 4 hours into the book to get to this point. Before, that I felt the story needed something. Not even sure what. Maybe some western music between chapters. More change up in voices. There were a few funny, chuckling parts but, not as many as I thought there could have been. Not that being a women is not making this review any less. No, on the contrary I love a great western. However, this was not a great western in my opinion. Cattle rustling being the norm. However, this revolves around how the American women were kidnapped and sold into slavery to the ones that would pay for them. Bud’s resolved to rescue Marta was romantic in a way. It just takes a ways to get there or does it? That is something you will find out. For those that love the gun battles they are intense. This is a book that needs to be listen to in a maybe 2-3 settings since so long. Especially, if you want the full effect of the story. You be the judge and listen to the book to see what happens to Bud and Marta? Were the other women rescued? What happens to the kidnappers! You won’t be disappointed. You just will be thinking the same I feel as me get to the good stuff! The performance by James Simenc was dead on with his main character Bud and few of the others. However, most of the story just left him storytelling. Details of the surrounding areas they were invading. What was going on in the scene. That is why this made The Hardest Ride was the Longest Listen. The cover had me a bit confused until I read the book blurb. Looks like a scene in the mountains of Wyoming or Montana. Not, the Texas-Mexican border. I love the scene. Everything evokes hard cowboy life of the times. 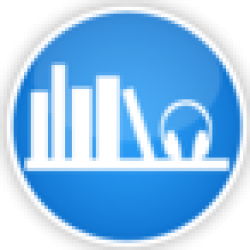 Audiobook provided for for review by the narrator.